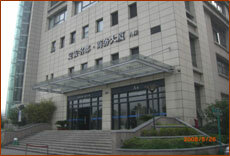 KANON GROUP　consists of HANGZHOU KANON INTERNATIONAL TRADE CO.,LTD. HANGZHOU KANON MACHINERY CO.,LTD, HANGZHOU JIALING MACHINERY CO.,LTD. It offers a chain service from exporting and manufacturing mechanical parts, which is headquartered on NO.199, Hongda Road, Xiaoshan Economic and Technology Development Zone, Hangzhou, Zhejiang province. KANON has been serving more than 30 world famous 500 TOP brand enterprises coming from Japan, America and Canada for dozens of years., such as Mitsubishi Heavy Industries, Sumitomo Heavy Industries, Makino Machinery, Panasonic Electronic,Toshiba machinery, HUSKY etc. Parts are in a wide range of industrial working machines, such as, plastic injection molding machine, diesel generator, wind power generator, construction machinery. 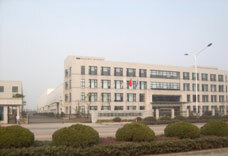 KANON has won good business reputation for its credible service and long-term excellent cooperation, Also it had been reputed as Excellent Cooperative Supplier by Mitsubishi Heavy Industries, Ltd.
Hangzhou Kanon International Trades Co., Ltd.
Business range： authorized with the right of exporting and importing all kinds of mechanical parts and equipments, supply technical services and other OEM equipments as agent. Main products：◇ Medium size and small size of precise mechanical parts(100% exported to Japan）；◇ Medium size and small size of precise parts； ◇ Importing and Exporting of mechanical parts,and cooperating with sub-supplier. Main products： ◇large size of precise mechanical parts, welding machined parts；◇large size of mechanical parts used on . Zhejiang Jiabang Machine Tool Co., Ltd.
Main products：◇High quality and large size series of HT/QT casting products； （export to Japan, Canada, America）；◇	Large size and medium size of precision machined mechanical parts, machining.